The RedBerry AGM will be held at our next meeting day on Friday July 24 at 9.30 am at St Luke’s Anglican Church Hall, Princess Street Berry. 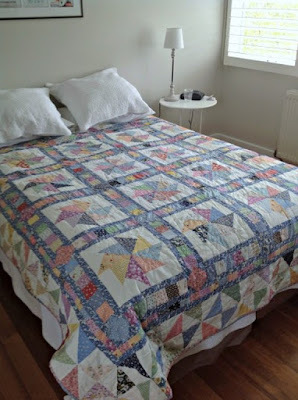 Our Guest Quilter for the July Meeting is Sue Miller. “I decided to combine my love of quilting with my IT background. I spent a lot of time researching online shopping carts, fabric and patterns and launched my online business. By day, I am an IT Manager for a large confectionery wholesaler and moonlight every other waking moment! My warehouse is my apartment in Neutral Bay, to say that there is fabric everywhere is an understatement. One day, I dream of opening a physical store. In the meantime, I do local quilt shows - Rosehill Stitches and Craft, Sydney Craft and Quilt Show, Mad Quilters Gathering and visit local groups.